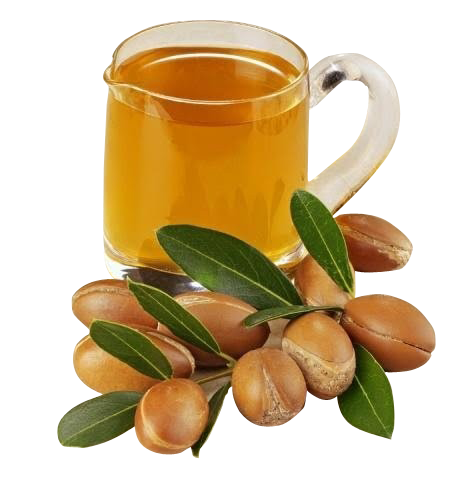 AArgan oil is extracted from argan tree . For some years ago, argan oil has been a favorite of organic stores and other parapharmacies. In Morocco, it is used for ages, daily, in food but also for body care. Argan oil is made from the fruit of the argan tree, this particularly resistant tree that grows only in southwestern Morocco. Today is about the only place in the world where this tree is found. 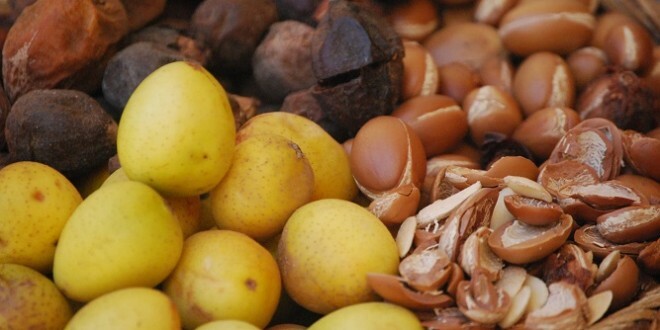 The argan tree produce argan nuts, which are enclosed in a hull. This is the fruit inside that is used to make argan oil. This fruit is composed of pulp and a large nucleus, in which we find seeds, almonds. The cosmetic argan oil has beneficial effects on health. It help in particular, to treat many conditions of the skin and hair ,scars, stretch marks, psoriasis, acne, traces of chickenpox and many skin irritations, eczema, bedsores. Argan oil is an extraordinary anti-wrinkle product. It delays the phenomenon of skin dryness, it nourishes the skin deeply, it gives the skin a suppleness and elasticity while restoring a radiance often tarnished by the daily activity and the skin aggressions suffered in this context. It also allows to obtain a magnificent hair. Also known as the liquid gold of Morocco because of its color and price, it has unique characteristics: it is the vegetable oil most concentrated in vitamin E, F and A. It stimulates the renewal of the cells and activates tissue respiration by supplying oxygen to the epidermis. It is also very rich in unsaturated fatty acids (linolenic, linoleic, and arachidonic). They are essential amino acids because our body alone is not able to produce them, and we must "collect" them from an outside source. These 3 acids are commonly called - Vitamin F. They enter the composition of the membrane of our cells and are essential for the synthesis of collagen (source of elasticity of the skin). -How to use Argan oil ?